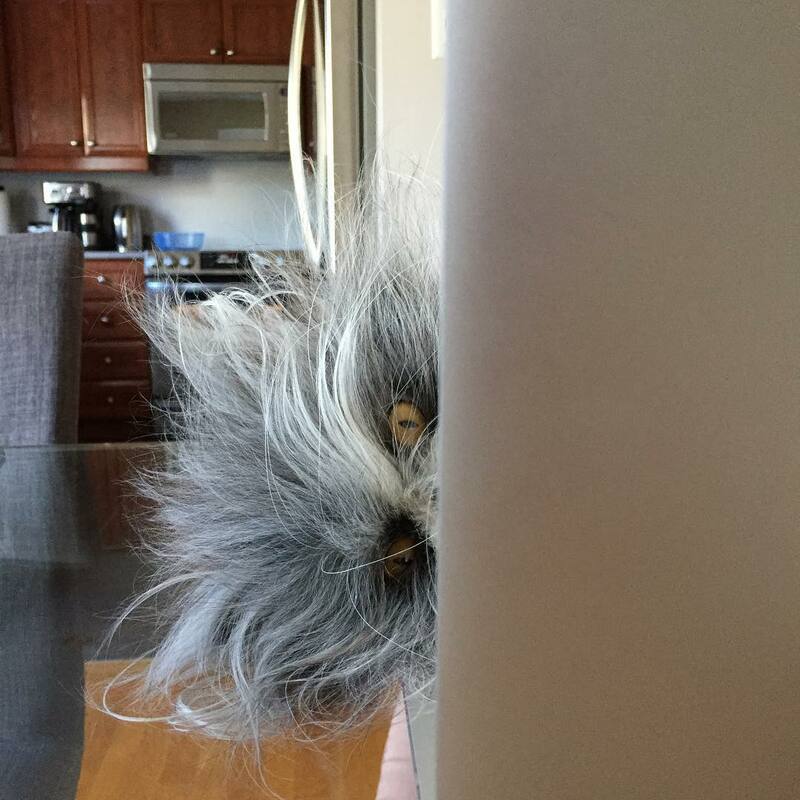 @1evilidiot @Jenthulhu Yeah, what IS that? @1evilidiot @SimonHoneydew Right this is really bugging me. WHAT IS IT? 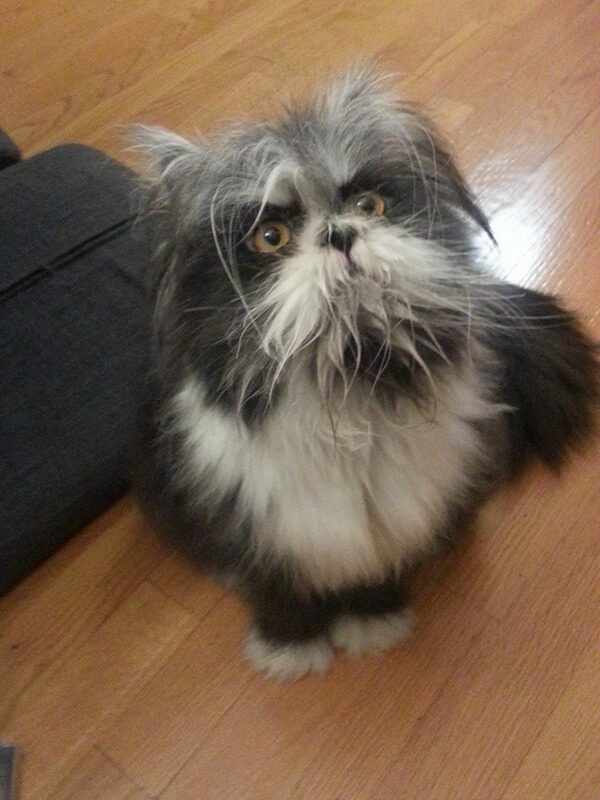 @CheshireCatiee @1evilidiot @Alex_Bertie it looks like an ewok ? @1evilidiot @miss_vivienne it’s an owl. @FreebieBean @1evilidiot whatever it is i want it. @1evilidiot @Rec_lock9 Whatever it is, it’s perfect. There were others, however, who did know. 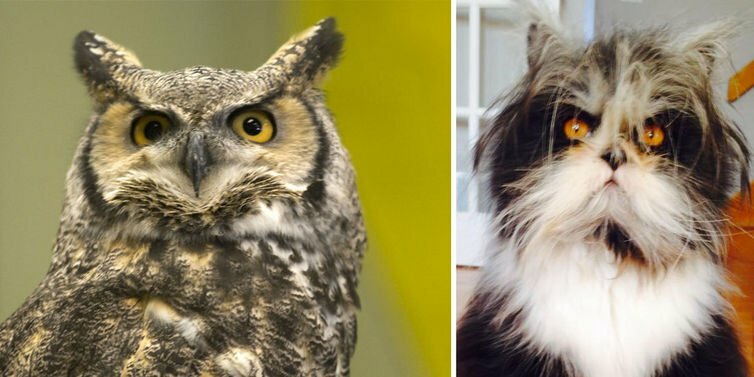 And they knew because this specific pet is actually an existing Internet star in his own right (he has 165k followers on Instagram). 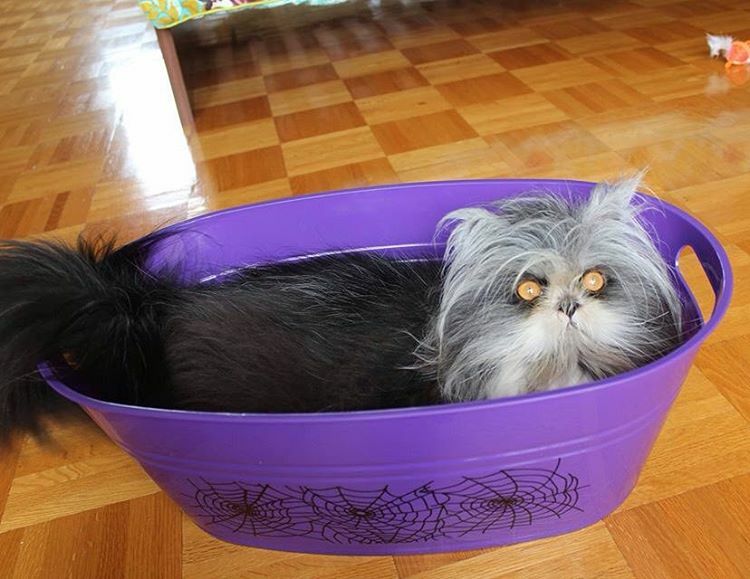 His name is Atchoum and he’s a….CAT! So why does Atchoum look so strange and dog-like? Well, as his website explains (yes he has a website), he has a rare congenital disorder called hypertricosis. 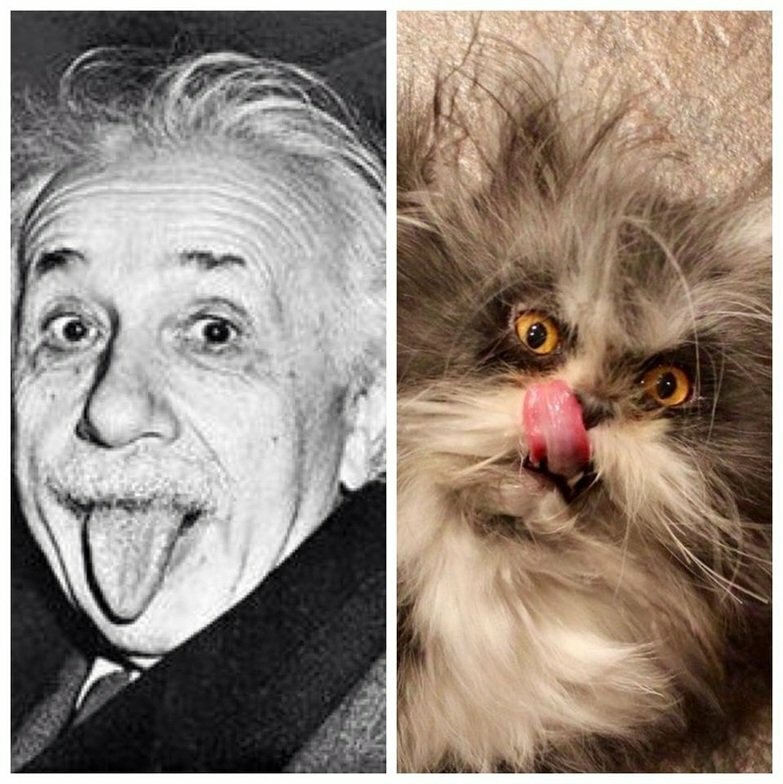 It’s a condition in cats (and humans) that causes excessive hair growth and, in the case of cats, thickening of the claws. A more derogatory term for the disease is “warewolf syndrome” because of the way it looks on humans. 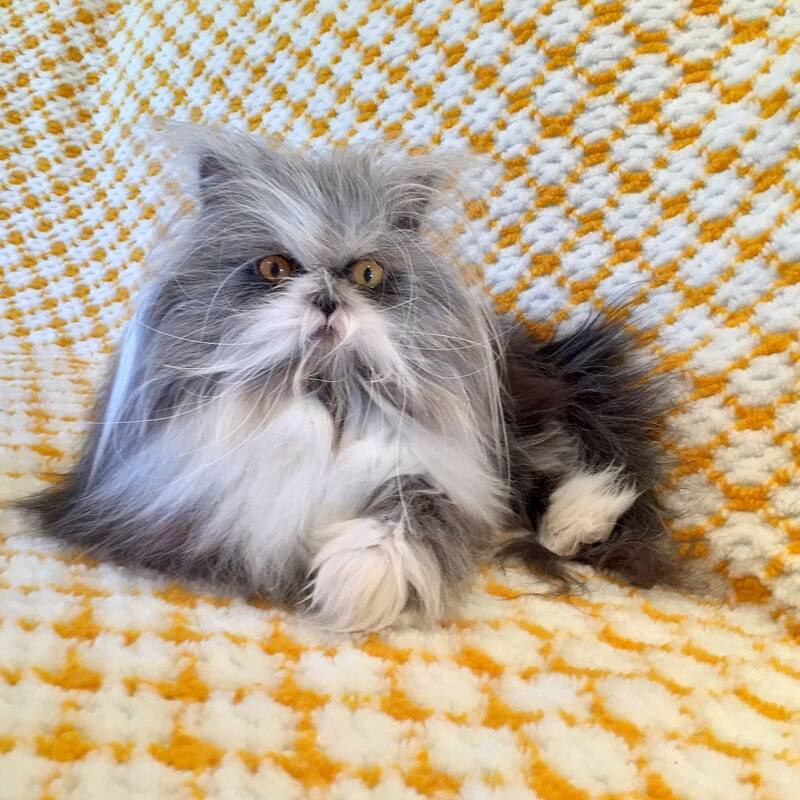 Atchoum’s owner says that “it’s less scary than it sounds.” Apparently Atcoum is also the only cat known to have the disorder, so there’s no certainty about how it will affect him as he ages. 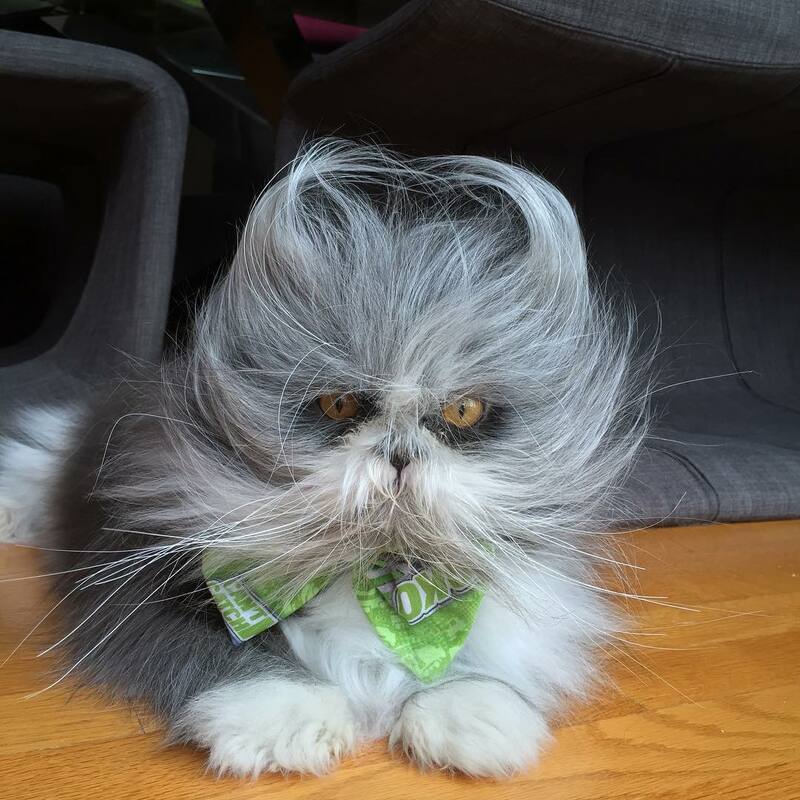 Atchoum’s owner is a groomer, but prefers him to wear his special hair proudly by giving him the “mad scientist” look. Atchoum’s owner created Atchoum’s Facebook page as a bet that he couldn’t get more than 100 Facebook likes – well, the person who challenged Atchoum lost in a big way. 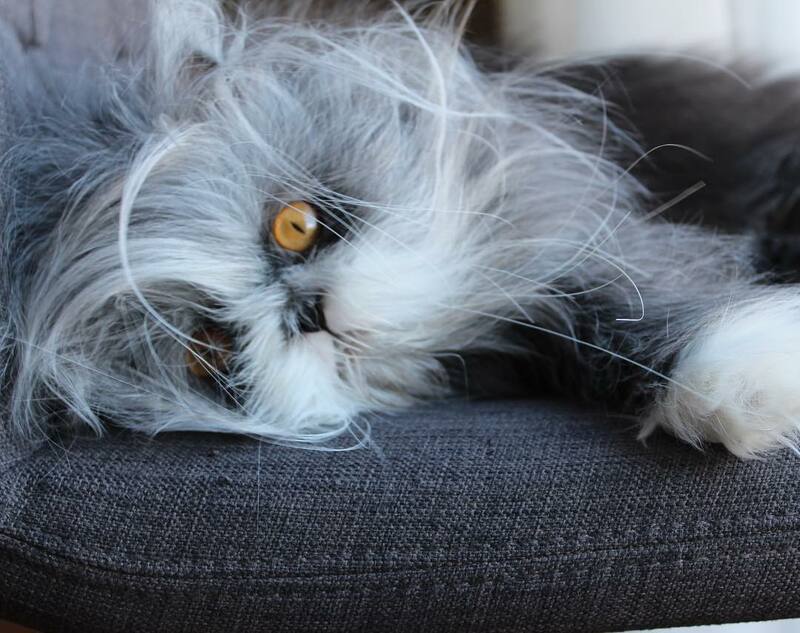 Atchoum has 65k followers on Facebook and even more on Instagram! And it’s no wonder! 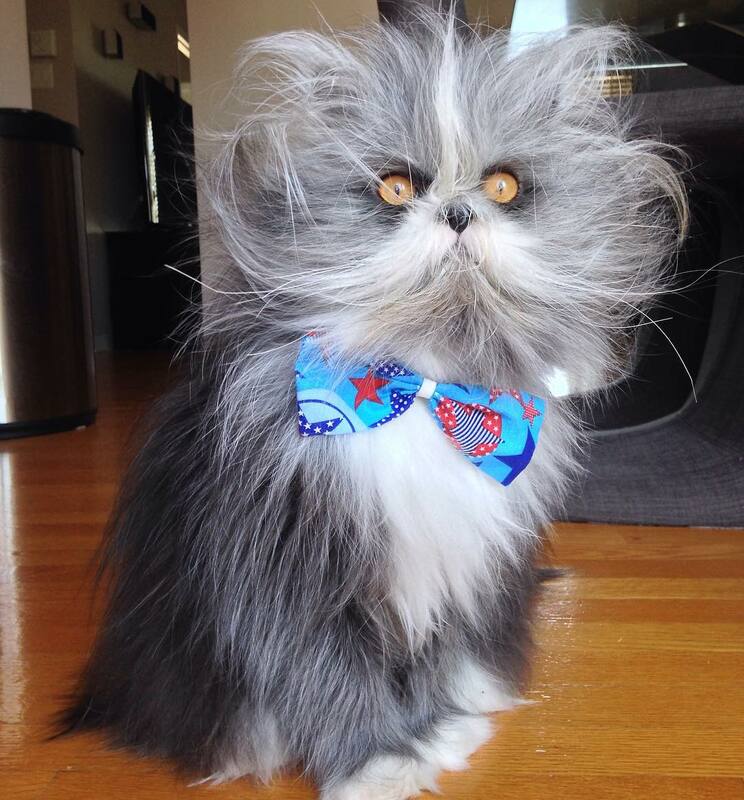 This guy is one of the coolest looking cats around. Check out some of our favorite pics from his website and Instagram below! But he also just does tons of other cute stuff, and that’s why people love him! 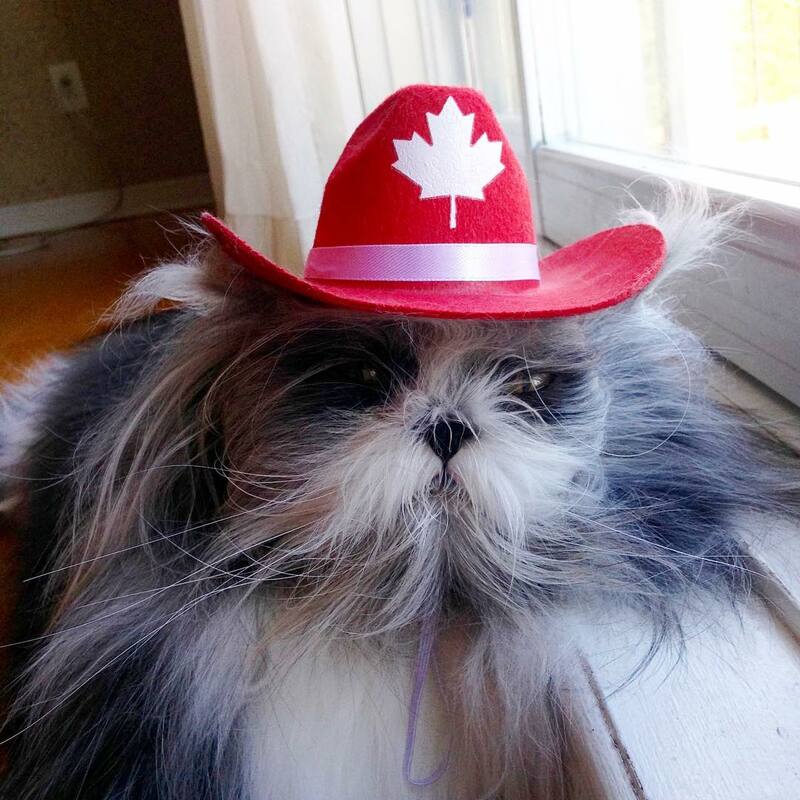 If you love Atchoum as much as we do, you should definitely check him out on Instagram for more!